Phil Davis and Dan Henderson both reached a ceiling in Stockholm Saturday night, but only one of them should try to break through and continue fighting competitively. When Tim Sylvia retired recently, brought on by an MRI that showed white spots on his brain, he told reporters that he would be interested in an old fighter’s fight club, where guys who can’t compete in the big leagues anymore can shake hands, step into a ring, and see what happens. That fight club is called “anything but the UFC” and that’s probably where Hendo will go before he hangs it up. If there is one thing we’ve seen with fighters, it’s that they never want to stop fighting. Even if his body gives out, a shot fighter sticks around, analyses, coaches, tells old stories around the grill, whatever it takes to stay near the fight. Fighting wars is a helluva drug. At 44, and on a streak that includes a few too many KOs, Hendo should probably stop fighting and get to telling war stories. The stoppage Saturday night against Mousasi may have been a bit early, and that’s unfortunate in a way, because it might be just enough to convince Hendo that he can pull a George Foreman and win a belt with one right hand. Truth is, he still could. The one thing that Hendo has that puts him up there with the top 10 fighters of all time is power. He KO’d the Emperor four years ago, when everyone was telling Hendo he should retire, and after that fight the roles were reversed. He starched Shogun Rua in his last fight, and Michael Bisping before that. He could definitely win a belt with one hand, and fight till he’s 50. But men like Foreman and Bernard Hopkins are the exceptions the media loves, and not the desultory tragedies that teach old warriors hard lessons. People know that Ali came back and fought Spinks (and won) and most know that he came back to fight Holmes (and lost), but only a few old men watched him lose a decision to Trevor Berbick, and they sure wish they could have unseen the “Drama in the Bahamas”. Hendo’s ceiling is one he shouldn’t try and break through, but you go and try tell him that. Davis, on the other hand, has reached an entirely different ceiling. His ceiling is actually a lonely plateau. A long time ago someone told me that “once you reach the plateau, it becomes the norm.” In the case of Phil Davis, people have reached the plateau and moved on, while he remains, relentlessly diving for single-leg takedowns. People go to train with Phil Davis in order to get their grappling straight (Gustafsson, for example), and then go on and polish other elements of their game. He’s like the kung fu master with one incredible technique: everyone knows he has it, everyone wants to learn it, but that’s all he has. Davis was a favorite against Anthony Johnson, but was stalked and peppered throughout the fight, dinked with short uppercuts when he went in for that single, and ended up losing. Against Glover Texeira, Davis was a heavy underdog, but he kept the fight confined to his special little zone, never engaging with Glover in any meaningful way, and he got the win. This weekend we saw what happens when Davis fails to get the takedowns he needs to keep the fight on his plateau: he loses. Unlike Hendo, however, Davis can and should break through. A lot of people still believe in Phil Davis, including all of the fans who saw his potential back when he submitted Gus and went on a mini-tear through the division. But that was five years ago. Since then it’s been touch and go. Dominated by Rashad Evans. 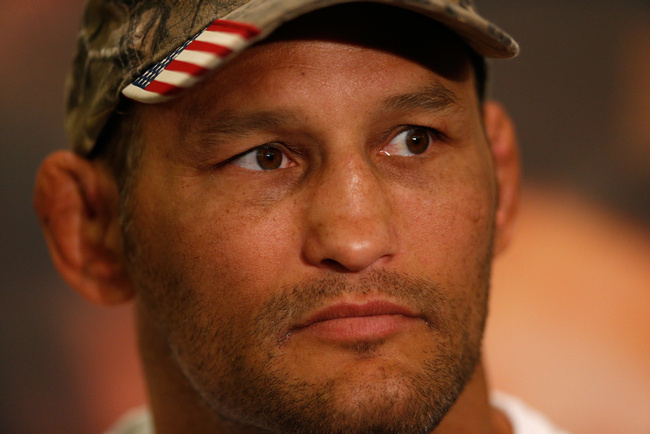 A couple decisions over Antonio Noguiera and Lyoto Machida. Losses when he needed wins the most. This is the moment where Phil Davis goes on an epic martial arts quest, letting his hair grow into knotted dreads as he walks across the continent in rags, mumbling to himself about plateaus, until he meets the fateful challenge he needs to break through. And when he does, Phil Davis can finally fill those incredible shoulders of his with the spirit of a reborn, reincarnated warrior. He may even become a contender for the UFC title. Don’t laugh, it can be done. Rumble Johnson is currently in the penultimate stage of a very similar epic quest, and the old boxers that didn’t know when to quit, like Ali and Foreman, came back from the depths to win titles in dramatic fashion. 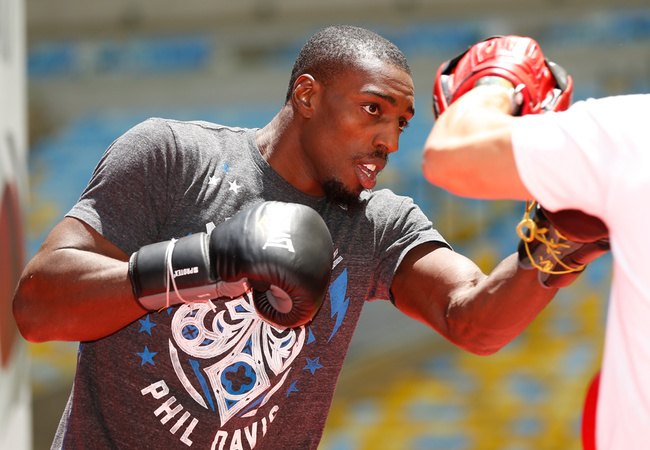 Phil Davis can regroup and return as a better fighter. Or Davis can continue tossing people around at AllianceMMA and trading barbs with Jon Jones, claiming to be the best grappler on earth, alone and increasingly insignificant on his private little plateau. It’s his choice, and like Hendo, Davis will most likely choose to keep fighting.